Many employers encourage referrals — even rely on them — as a high-quality candidate source. There are certainly good reasons to do so, but there are drawbacks to the approach too. Our new report reviews referrals data and trends, including how prevalent they are, the main sources of referrals, which industries see the most referrals and more. 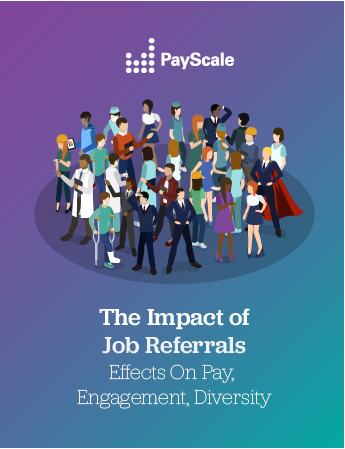 It also covers the degree to which different types of referrals influence employee engagement, as well as the “down side” of referrals and the unintended negative impact they can have on diversity initiatives.